Home CDN , children , crafts , feature , February , holiday , holidays , homeschool , papercrafts , printables , US , worldwide February 5th - Featuring Peter Pan Freebies! February 5th - Featuring Peter Pan Freebies! -- Peter Pan is a 1953 American animated fantasy adventure film produced by Walt Disney and based on the play Peter Pan, or The Boy Who Wouldn't Grow Up by J. M. Barrie. It is the 14th Disney animated feature film and was originally released on February 5, 1953, by RKO Radio Pictures. The Peter Pan movie was about a mischievous boy who can fly and magically refuses to grow up. Peter Pan spends his never-ending childhood adventuring on the small island of Neverland as the leader of his gang the Lost Boys, interacting with mermaids, Indians, fairies, pirates, and (from time to time) meeting ordinary children from the world outside. -- Fantastic adventures await Wendy and her brothers when Peter Pan, the hero of their stories, whisks them away to the magical world of Never Land. With faith, trust, and Tinker Bell's pixie dust, Peter teaches the children how to fly and shows them his secret hideout, where he lives with the rambunctious Lost Boys. Leap into high-flying battles with swashbuckling pirates and the infamous Captain Hook in this cinestory comic celebrating the 65th anniversary of the tale which will never grow old. • Peter Pan Signature Collection -- Bid your cares goodbye as Wendy and her brothers embark on fantastic adventures with the hero of their bedtime stories...Peter Pan! With faith, trust and Tinker Bell's pixie dust, Peter teaches them how to fly and leads them to Never Land! 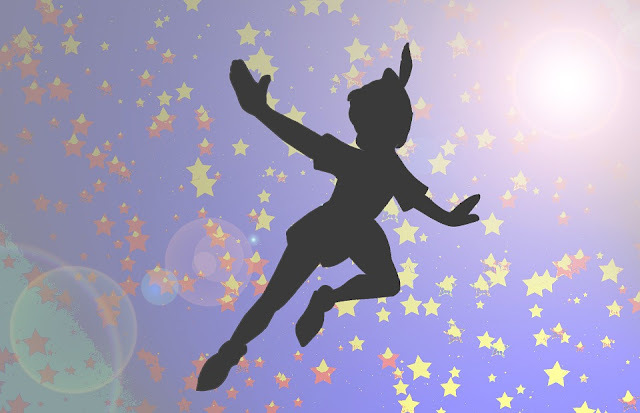 • Peter Pan Scene Silhouettes -- Decorate your kid's nursery, bedroom or playroom with this Peter Pan inspired children's wall decor. These wall decal silhouettes depict Peter Pan and his famous group of friends flying through the air. Arrange them into a wall mural however you prefer. • Peter and Tinkerbell Printables and More! - Remember this special food holiday by getting out your fondue pot stored in the closet, heat it up and melt up that special chocolate sauce! Call up all your friends and family and get ready for a sweet dipping good time! - Hank Aaron was born on February 5, 1934, in Mobile, Alabama. Nicknamed Hammer , Hammerin' Hank, and Bad Henry, is a retired American baseball player whose Major League Baseball (MLB) career spanned the years 1954 through 1976. Aaron is widely considered one of the greatest baseball players of all time. - There is lots of room, friendly folks, and Amish farms. Lebanon is a haven for residents and tourists to serenely indulge in the city's world-famous bologna and the Wertz family homemade candies. - Their first sale was to Three Judges Restaurant, a diner just down the street from the factory. This unlikely outlet sold the Wiffle ball from its front window at the 1953 price of 39 cents. A humble start for sure, but one which led to orders from local sporting goods stores. - Honoring weathermen and woman who work hard to accurately predict the often fickle weather. Despite major technological advances and supercomputers, forecasting the weather is still a tricky, and ever-changing business. According to the Air Force News, Weatherman's Day commemorates the birth of John Jeffries, one of America's first weathermen. Jeffries was born on February 5, 1744. He kept weather records from 1774 to 1816. - Nutella is more than just a chocolaty hazelnut spread , it is a way of life. From childhood memories to oozing hot crepes, from breakfasts on vacation to free-spooning sessions on the couch, Nutella is prominent in the memories of many children and grown-up children in the world. In 2007, we gave Nutella its own holiday, and every year we continue the tradition. - Traditional Chinese Lunar Year begins at sunset on the day of the second New Moon following the winter solstice. Outside China, the date of the New Year may differ by a day. The New Year can begin anytime from Jan 21 through Feb 21. Generally celebrated until the Lantern Festival 15 days later, but merchants usually reopen their stores and places of business on the fifth day of the first lunar month.